This offer is still available! Order a free Chamin Mega Roll Extender! Fill in the form or call 1-800-777-1410 and select #1. 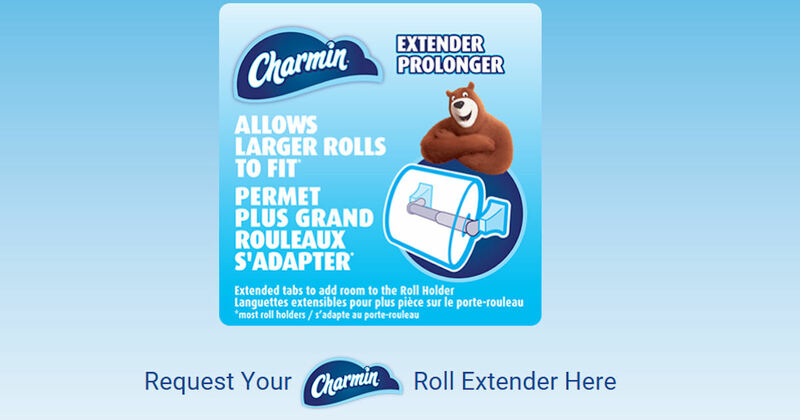 Then follow the prompts to leave your name and mailing details to get your free Charmin Roll Extender! The entire call is automated, so there's no need to speak with anyone. Please allow 4-6 weeks for delivery.